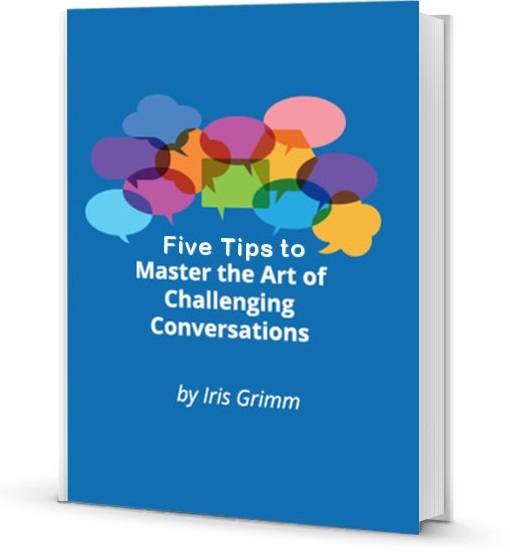 Are you procrastinating challenging conversations or avoid them until the problem gets out of hand? Are you involved in conflict conversations frequently? People often feel uncomfortable leading challenging conversation topics out of fear that either the other party will become defensive or hostile or they are afraid that they won’t get the desired results. what the other party has to get from you so that they trust you. how to ensure that the other party follows through with their agreements. Implement these free tips in your work conversations today and resolve conflicts quickly and efficiently – one meeting at a time. Perfect! An email will arrive in your inbox shortly.